For all those who love to cook and those who enjoy a fabulous meal, Hackett House offers a variety of Dinner Party Cooking Classes presented by some of the Valley's Top Chefs. Kathy Andrews. Culinary Expert and Local Food Personality Kathy Andrews, Culinary Expert, returns to Hackett House. 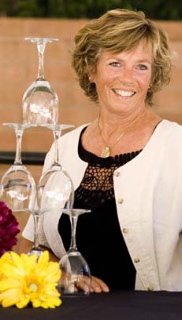 Her classes feature signature dishes from a variety of restaurants located around Arizona. Each dish is paired with a complimenting wine. If you have ever been to one of Kathy’s classes, you know you had better come hungry! Chef Kelly Fletcher, House of Tricks Restaurant Bob Trick, chef/owner of House of Tricks Restaurant, will introduce his Chef, Kelly Fletcher, who will conduct this class. His menu includes Frisee, Micro Arugula and Micro Radish Salad with Shaved Manchego, Anjou Pear, Cranberry, Pepitas and Pepper-Sherry Vinaigrette; Seared Fromage d’Affinois with Strawberry Preserves, Rosemary Syrup and Crusty Ciabatta; Ancho Chile Seared Rare Ahi Tuna on White Bean-Guajillo Ragou with Orange-Chipotle Honey Aioli, Pepitas and Micro Cilantro. Complementing wines will be served with each course. Chef Lee Hillson, Executive Sous Chef at the Phoenician Chef Lee Hillson, Executive Sous Chef at the Phoenician, one of the Valley’s acclaimed resort destinations oversees their nine kitchens and adds his creativity to the menu items. 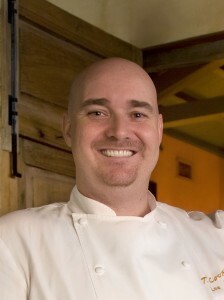 Lee was most recently the Executive Chef at T. Cook’s, located in the Royal Palms Resort, where he received national acclaim with an open fire kitchen and Mediterranean cuisine. Some may remember his Iron Chef battle with Cat Cora, but all who attend his class will remember the flavors of the food he creates right in front of you. He shows us how to make mozzarella (which he will feature in a caprese salad) and pasta! Those of you who have dined with Chef Lee before know he is not only a chef, but also a comedian and story-teller, so be prepared for a delightful evening of entertainment. Chef Kim Lahn, Vegan Cooking Specialist Some of us have a passion for great food; some have a passion for a healthful life style; Chef Kim has both. She has developed her own cooking style that is based on local, organic, plant-based, fresh foods that are so flavorful you never miss the fact there are no meat products used. She is a Southwest Food Blogger, a TV personality on Channel 12’s Valley Dish, she writes for Food and Flourish and she is completing her first cookbook. And yet she still finds time to cook for us! If you’ve heard of the James Beard Awards and if you’ve heard of Best Restaurants “Fit for Foodies”, then you’ve heard of Kevin Binkley, Chef/owner of Binkley’s in Cave Creek. If you’ve heard of Chef Binkley, then you know that last year he opened another restaurant called Bink’s Midtown in Phoenix and asked Chef Justin Olsen to delight Bink’s guests with his creations. This cozy neighborhood bistro is known for its small plates and the transformation of local produce into edible art that rewards all your senses. 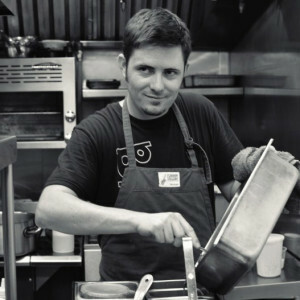 Come meet Chef Justin and become acquainted with his food and cooking style. Win Thomas may indeed be a new name for those of us who are used to reading about the best Phoenix restaurants, but he’s not new to cooking. In fact, Win was one of 90 competitors in the Arizona Republic’s Home Chef search and as of June 2013, he is known as Phoenix’s Top Home Chef! 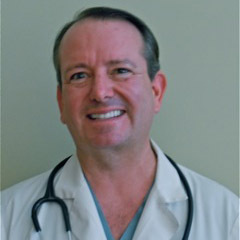 Win spends most of his hours by day as a vascular surgeon and many of his evenings cooking for family and friends. Hmmm, and how did Win even develop an interest in cooking you may well ask. About 27 years ago, his mother signed him up for a cooking class taught by Vincent Guerithault of the renowned “Vincent’s on Camelback”. From then on, Win’s interest developed into a passion for cooking. 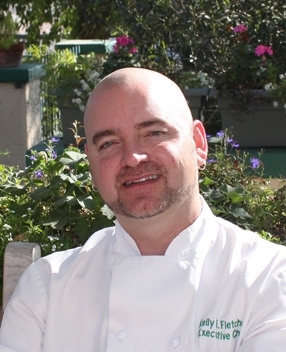 Join us to sample the culinary skills that earned him the title of Top Chef!